Want to work from home? If you are looking for a way to earn extra income or start your own business, direct sales may be the right option for you. With direct sales, you represent and distribute existing products and/or services as an independent representative. Each company has various suggested marketing methods, including home parties, consultations, one-on-one demonstrations, and door-to-door sales. ACN Inc.: ACN is the largest direct selling telecommunications and essential services company in the world. It has been endorsed by Donald Trump and featured on the Celebrity Apprentice. AdvoCare: AdvoCare is a premier health and wellness company offering energy, weight-loss, nutrition, and sports performance products. Agel Enterprises LLC: Agel markets a new category of suspension gel technology for health and wellness. It distributes this product through direct sales via independent sales reps.
Amway: A direct selling company with many different categories of products like nutrition, bath & body, beauty, and home products. Avon: The world’s largest direct seller and a leading beauty company, Avon has more than $11 billion in annual revenue. Its product line includes beauty, fashion, and home products. Demarle At Home: Demarle At Home manufacturers high-grade silicone-based cookware and molds. It is best known for its popular Silpat product. Demarle at Home was developed from European's professional cookware company, Demarle. Its products are used regularly on Food Network cooking shows and throughout regular American kitchens. Discovery Toys: Discovery Toys offers unique, high-quality educational toys, books, games and music and has been using direct sells as a means of distribution for over three decades. DoTerra Essential Oils: Founded in 2008, DoTerra manufacturers and distributes therapeutic-grade essential oils through a network of independent sales reps. Stream Energy: Sells electricity and natural gas energy through independent sales reps. This MLM can only make sells in Texas, Pennsylvania, New Jersey, Maryland, and Georgia due to the deregulated energy market. Established in 2004. Forever Living Products: Forever Living Products International, Inc. is a large and global direct selling company that sells aloe vera and bee-derived drinks, cosmetics, nutritional supplements, and personal care products in over 150 countries. FreeLife: FreeLife International is a multi-level marketing company established in 1995 that supplies nutritional supplements. FreeLife is best known for promoting Himalayan Goji Juice, made from goji berries. Fuel Freedom International: Fuel Freedom International is a multi-level marketing company based in Altamonte Springs, Florida. Its main product is pills trademarked as MPG-CAPS, which is claimed to improve fuel economy, reduce emissions and increase engine power. These claims are currently under civil investigation. Herbalife: Herbalife International (NYSE: HLF) is a global nutrition, weight-loss, and skin-care company. The company was founded in 1980 and it employs around 4,000 people worldwide. Herbalife reported net sales of $3.5 billion in 2011. It has a network of 2.1 million independent distributors. Isagenix International: Isagenix International LLC sells products which are said to remove toxins and fat from the body. Founded in 2002 and based in Arizona, it has approximately seven million customers. Juice Plus: Juice Plus, a National Safety Associates company, manufacturers dietary supplements concentrated with fruits and vegetables. This is said to “bridge the gap” for the normal American diet. LifeVantage: LifeVantage markets a patented dietary supplement called Protandim, which is said to indirectly increase antioxidant activity. The product claims to help with aging. Longaberger: This company is an American manufacturer of handcrafted maple wood baskets and offers other home and lifestyle products, including pottery, wrought iron, fabric accessories, and specialty foods. The company indicates it has over 45,000 independent sales reps (and its Ohio office building is shaped like a giant wooden picnic basket). Mannatech: Mannatech is a publicly traded health and wellness company. It offers approximately 22 nutritional products, two topical products, five skin care products, and four weight-management/fitness products. Mannatech is well-known for is product Ambrotose, its "glycol nutritional" dietary supplement, which is patented blends of plant-sourced saccharides. There are nearly 350,000 reps.
Market America: Market America is a top internet retailer and product brokerage company that utilizes direct sales in order to sell a variety of products across numerous markets. It sells products in nearly every category. Here is a nice Business Week article shedding some light on Market America’s model. Mary Kay: Mary Kay is a well-established, billion dollar skincare and cosmetic company with over one billion independent sales representatives. MonaVie: MonaVie is a beverage and wellness company distributing products made from blended fruit juice concentrates with freeze-dried açaí powder and purée through an independent sales network. Neways: Neways manufactures and distributes personal care products, nutritional supplements, and household cleaning products that are said to be chemically safer than competing brands. Nu Skin Enterprises: Is a billion dollar publicly traded network marketing company which manufactures and sells personal care products and dietary supplements. It has a large market in Asia. PartyLite: PartyLite is the world’s largest direct-seller of candles, candle holders, and home accessories. It uses direct sales to market its products and has over 68,000 reps around the world. Primerica: Primerica is a publicly traded financial services network marketing company. It has around 90,000 independent representatives, of which 22,000 have a Series-6 Brokerage License. The company sells life insurance, mutual funds, pre-paid legal services, and other financial plans. Reliv: Reliv manufacturers and distributes nutritional supplements. It has approximately 60,000 independent sales reps throughout the world. Scentsy Inc.: Scentsy manufacturers and sells wickless candles and warmers. It claims these types of candles are much safer than regular candles. Independent sales reps use home parties as the main means of marketing. There are over 75,000 independent sales reps.
Shaklee Corporation: Shaklee is a privately held manufacturer and distributor of nutritional supplements, weight-management products, beauty products, and household products. Sunrider International: Is an international MLM which manufactures health, beauty, food, and household products. It also has thousands of franchise stores in operation. It began in 1982. The Pampered Chef: A wholly-owned subsidiary of Berkshire Hathaway, The Pampered Chef is a global company that offers a line of kitchen tools, food products, and cookbooks aimed for preparing food in the home with a worldwide direct sales force of over 60,000. Tupperware: Tupperware develops, manufactures, and distributes its products globally. It is sold through a network of nearly 1.9 million direct sales reps.
Unicity International: Unicity manufactures and distributes via independent sales reps weight loss products, green tea, nutrition, and personal care items. Bios Life and Bios Life Slim are two of their most well-known products. USANA Health Sciences: Usana manufactures and sells nutritional supplements, vitamins, and skin-care products globally. It is a publicly traded company with over 222,000 independent sales reps and more than $500 million in revenue. Vector Marketing: It is the sole distributor of Cutco Cutlery Corporation’s Cutco Knives. 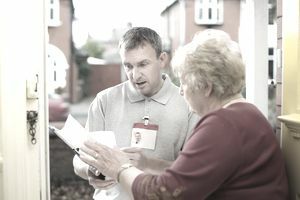 Using independent sales reps, its primary marketing method is one-on-one in-home demonstrations. Watkins Inc.: Watkins Inc. is a manufacturer of health products, baking products, and other household items which are carried in some retail locations, but mainly distributed an independent sales force of over 25,000 reps. This sales force sells the products using various methods, including the Internet, person to person, trade shows, party planning, and fund-raising. World Financial Group (WFG): A wholly owned subsidiary of AEGON, WFG sells investment products, insurance, and other financial products through an independent sales representative. XanGo: Founded in 2002, Xango uses a network of independent distributors to sell Xango Juice, made from the mangosteen, as well as, skin care, personal care, energy supplement, and nutritional supplement products. Xocai: Established in 2005, MXI Corporation manufacturers and distributes via independent distributors “healthy chocolate”.